I moved to Dallas in 1995 to attend seminary at SMU. 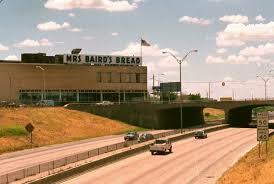 In those days, right across Mockingbird Lane, was the Mrs Baird's bread factory. Every day, walking to class, one could smell the fresh bread baking. The smell took over the area. Regardless of what time I had eaten, smelling the bread made me hungry. It evoked feelings of warmth, fullness, and joy. Today we're talking about the Wonder of a Manger. Jesus was born in Bethlehem, a small village six miles south of Jerusalem. The name Bethlehem literally means, "place of bread" in the Hebrew language. There are many stories of Bethlehem throughout the Bible, not just Jesus' birth story in Luke 2. One of my favorites involves a young family, husband, wife and two sons, who were from Bethlehem, but ironically, lived there during a time of famine. In order to find food, they moved to Moab, a neighboring territory where non-Jews lived. Shortly after the move, the husband died. The boys grew up and married Moabite women. Then the sons died. Naomi, the widow and grieving mother, is left with two daughters-in-law, Ruth and Orpah. Naomi decides to return to Bethlehem after ten years because she's heard there is food again. Orpah returns to her birth family. Ruth decides to accompany Naomi to Bethlehem. The place of bread was open to everyone who was hungry-- including foreigners and the poor. Those without resources were allowed to gather food that fell to the ground during the harvest. They were able to do this with dignity and respect. So Ruth gleaned those fields for food for herself and her mother in law. One day a man called Boaz sees Ruth working and falls in love with her. They were married and enjoyed prosperity. These were the great-grandparents of King David, who was a shepherd boy whose hometown was... Bethlehem. Joseph, Jesus' father, was a descendant of Ruth, Boaz, and David. So when the Roman emperor declared a worldwide census, it meant Joseph and Mary had to register in Bethlehem, the family's ancestral home. After making the eighty mile journey from Nazareth, Mary gave birth to the child in Bethlehem. Often when we hear this story, we focus on the sweetness of the baby in a manger. But don't miss the theology here. Mary laid Jesus in a manger, a feeding trough. In the place of bread. Years later, the adult Jesus performed a miracle on the seashore. 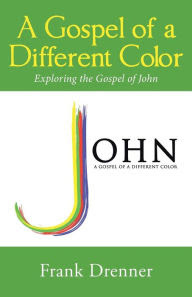 It was such a profound moment that every gospel writer: Mark, Matthew, Luke, and John, remembered it. After a long day, the crowds were hungry and tired. The disciples went to Jesus, asking him to send everyone away so that they could eat. Jesus said, "You give them something to eat." They panicked-- they had nothing. So Jesus ordered everyone to sit down. After finding a small lunch of bread and fish, he blessed and broke the bread, feeding everyone and having plenty left to share in the future. The next day, the religious folk approached Jesus, wanting him to do another magic trick for them to see. Jesus said to them, ‘I am the bread of life. Whoever comes to me will never be hungry, and whoever believes in me will never be thirsty. I am the bread of life. Your ancestors ate the manna in the wilderness, and they died. This is the bread that comes down from heaven, so that one may eat of it and not die. I am the living bread that came down from heaven. Whoever eats of this bread will live for ever; and the bread that I will give for the life of the world is my flesh’ (John 6:31-35, 48-51). Jesus was born in Bethlehem, the place of bread. Jesus was placed in a manger, a feeding trough. Jesus is the Bread of Life, come to earth so that everyone who is hungry may be filled. I read an article this morning that details poverty in America (thanks for the heads, up Jenn!). Did you know that in our country, the wealthiest, most powerful nation in history, 41 million Americans live in poverty? And of that total nine million live without any income whatsoever? Remember the Bethlehem of Ruth's day: the poor and hungry, even the immigrants, were allowed and encouraged to gather food so that they could have a meaningful existence and not suffer. They were able to keep their dignity and self-respect. What does it say about our society that so many among us are hungry and suffering? Don't forget the challenging, haunting words of Jesus: "You give them something to eat." Next Sunday is Christmas Eve. We'll offer five services, each one different, hoping to touch as many lives as possible with the Gospel. Why do we put so much emphasis and hard work into this day? I'll answer for myself. Christmas Eve is so important because people will be here who do not go to church any other time of the year. We serve communion that night because people will be here only that night, and this is their only chance to receive the Bread of Life, given for them. Christmas Eve is so important because people are starving. Some are starving for food; others are spiritually famished. They need to receive the Bread of Life, so that they may never be hungry again. Jesus was born in Bethlehem, the place of bread. He was placed in a manger, a feeding trough. He is the Bread of Life, so that no one may be hungry or thirsty. there is no Bethlehem star. there are no Wise Men searching. there is no gold, no frankincense, no myrrh. there are no angels singing. there are no shepherds watching. there is no Herod, no flight into Egypt. and God will loathe or feasts and festivals. we cannot call Christ "Prince of Peace." It can all be packed away in boxes for another year. there is no Christmas in us. then what is all the noise about? In the name of the One born in the place of bread, in the name of the One placed in a feeding trough, in the name of the One who is the Bread of Life, given so that no one ever goes hungry, Amen.